This week more shellac records: Danish rumba-swing, Danish western-swing and Dutch Hawaiian-swing sung in German. I love this song! It´s schmaltzy and it is a little irritating when they sing about “das schöne Hula-Mädchen mit dem rabenschwarzen Haar” (the pretty hula girl with the pitch black hair), but compared to the majority of German Hawaiian music, this doesn´t sound so damn German. Because it isn´t. 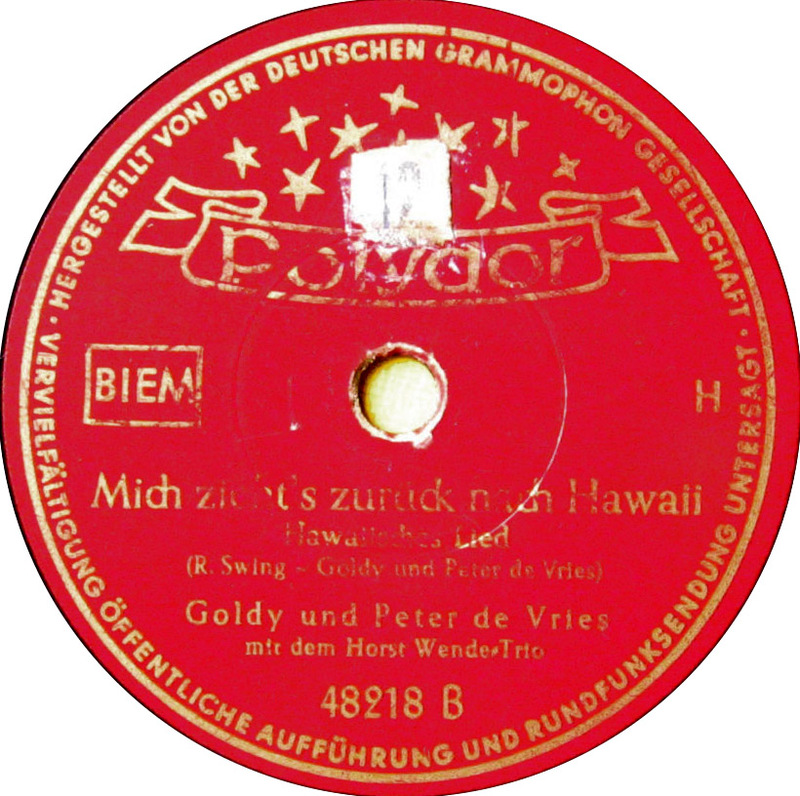 The Dutch duo Goldy and Peter de Vries, backed by the Horst Wende Trio, recorded in the ruins of Hamburg. This is a 78rpm record that I bought two weeks ago in a local Berlin thrift store for 50 cents…. Peter de Vries is mentioned in this 1951 article about some Kids in cowboy gear posing in the ruins near the Cologne Cathedral. Apparently he was quite famous for his cowboy songs in the early 50s. Indianer gingen – Cowboys blieben.